Peter Baker’s new travel book offers and some intriguing suggestions for gap years, and a world view that will resonate with actuaries. Today’s world offers opportunities for travelling experiences of unprecedented breadth and diversity. As every actuary knows, most people alive today will work into their 70s and live to their 90s. But as the responsibilities of home and career pile up, there is limited time available before some of those experiences become impractical, or at least undignified. I cut my travelling teeth as a young man, but a ‘trip of a lifetime’ demanded more than the well-warn backpacker trail. This time I wanted to engage with the world as thoroughly as I was able: to take tea with Peruvian matriarchs, hold night-long discussions with Turkish TV producers, camp deep in Slovenian pine forests and hang out at psychedelic Australian bush raves. You only live once, after all. 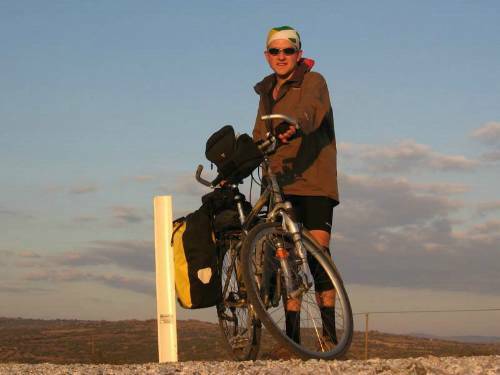 The adventure that followed lasted two years and ten days, covering 24 countries, five continents and 60,000 miles. During it I spent five months cycling across Europe, swam the Bosporus (with a hangover) in freezing temperatures, worked as a barman in a Sydney drag club, hitchhiked along Australia’s east coast, lived as a hermit in Quito for a while, came close to killing myself beside an Andean volcano lake and was nearly arrested while attempting to smuggle a mobile phone into Quito Womens’ Prison (I talked my way out of that one). In addition to such antics, the trip provided two unique opportunities. First, to read like I’d never read before – evenings were spent devouring books on history and anthropology, back issues of The Economist rescued from obscure Ecuadorian newsagents and making my way through both the Bible and the Qur’an. 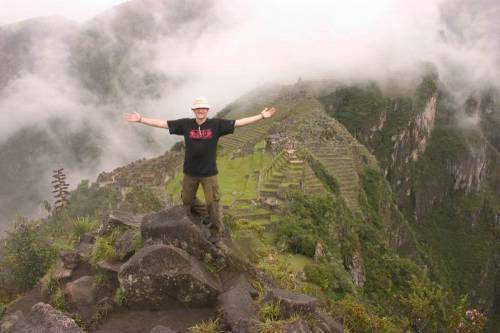 Second, to absorb the world views and life stories of thousands of people from hundreds of cultures and subcultures. All of this was recorded as I went, in weekly emails. Those emails formed the core of the travelogue which resulted – bound together with my reflections from all that information overload, and topped-off with four full-page maps and a cover image courtesy of NASA. The upshot: The Jolly Pilgrim, is part travel adventure, part reassessment of the social, economic and geopolitical realities of today. It is profoundly optimistic. That may seem counterintuitive in a world beset by financial problems, violence and poverty. However, the book argues that those who think such things characterise the state of humanity would do well do appraise themselves as to the nasty, brutish and short realities of human life until the recent past. In the last century, life expectancy has tripled, hundreds of millions of people have been lifted out of abject poverty and the world is more enlightened and much less warlike than it has ever been during any previous period of history (or, for that matter, prehistory). We now live in a world where it is possible to roam around for two years, pondering 5,000 years of collective wisdom. The reason we’re so aghast at the situations in Afghanistan and Sudan is because standards have risen so precipitously – such semi-anarchy was the norm until a few centuries ago. Even traumatic events like the Arab Spring are ultimately symptoms of an upward trend – as Arabic societies (which, don’t forget, have been dictatorships for all of the past millennium and a half) undertake the rocky transformation towards better, more sustainable governmental systems. In the developed world, the financial crash caused endless angst. Once again, the book calls for perspective. The credit crises was a blip (neither the first nor the last) in a global economic trajectory which has been relentlessly upwards for 200 years. In the developing world (where ‘poverty’ means something rather more serious) per capita GDP rose during every year of the credit crisis, except for 2009. One of the book’s core points is that much of the pessimism regarding the world comes from comparing it to a hypothetical world that only exists in our imagination. Humans are a species of evolved ape, making up civilisation on the fly. Nobody said it would be easy. Given that, the general trajectory of human affairs is far more significant than subjective judgements regarding the status quo. Despite revolutionaries through the ages claiming otherwise, a better world is brought about by each of us, generation-by-generation, doing our bit and via steady, incremental improvements. One of the things which must continue to improve is our ability to orchestrate economic stability and manage financial risks, which is where actuaries come in. No matter what destiny is ultimately in store for our species, our individual lives will be defined by the journey, not the destination. I hope my book encourages people to revel, as they go, in the extraordinary delights of this beautiful planet. 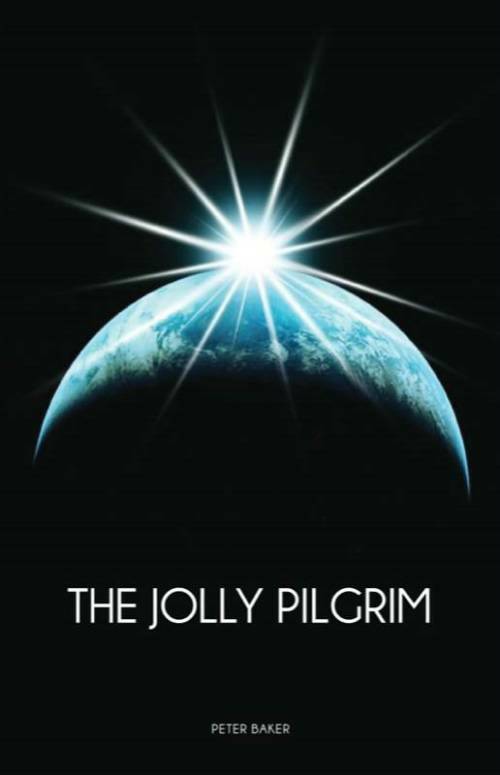 Peter Baker’s book, The Jolly Pilgrim, was first published by HotHive Books. It’s available from Amazon. He is a recruitment manager at Reed Actuarial in the City.